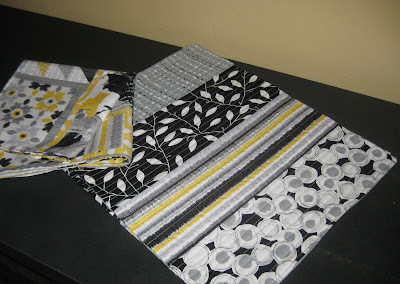 It's Day 3 of the Contempo Studio Blog Hop and the Benartex Blog Team has teamed up to create these sophisticated reversible placemats using the Cosmopolitan collection. 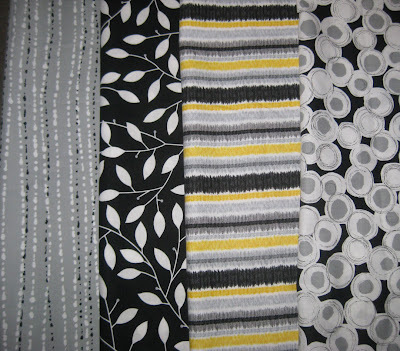 Check out the tutorial below, take a peek at this exciting new fabric line, and then see how to enter for a chance to win a fat quarter bundle of Cosmopolitan to start your own project! When we saw this panel of rectangular blocks in the Cosmopolitan collection, we knew they'd be perfect for placemats. 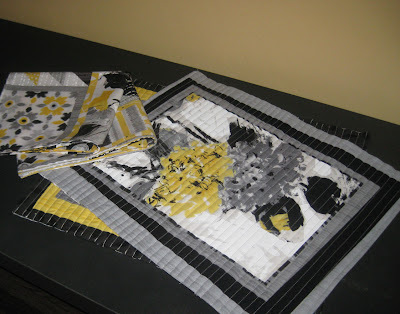 Combining a pieced side with fussy cut wonky blocks from the panel would create a reversible placemat--double duty and double beauty! 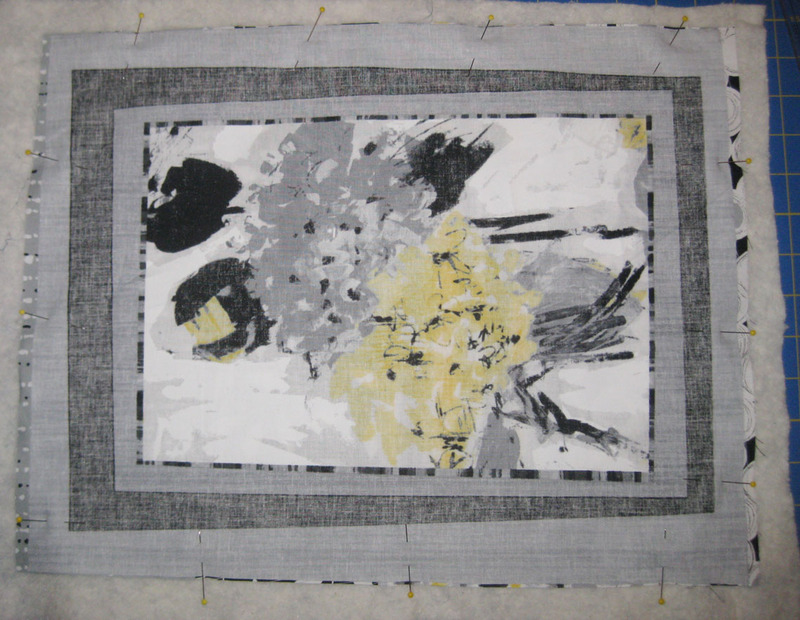 Fussy cut a block from the panel and trim it to measure 13-1/2" x 17". 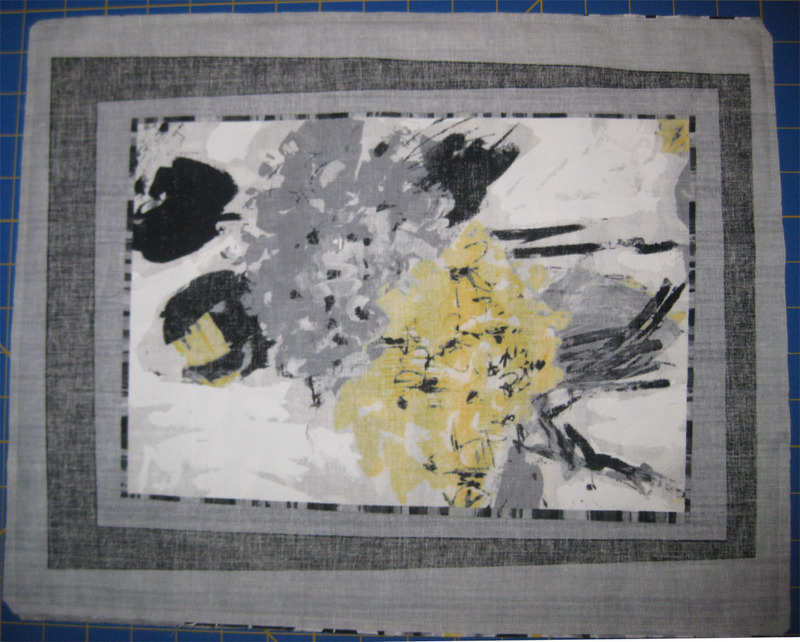 We auditioned the four prints we selected for a pieced backing. Since there were two stripes, we wanted to rotate one of them so the stripes ran in different directions. You can choose either one, but we went with option #1. 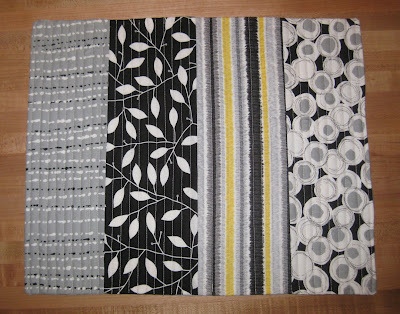 From the stripe you want to run horizontal, cut a 4-3/4" x 13-1/2" lengthwise strip (cutting parallel with the selvedge so the stripes run the short way across the strip). 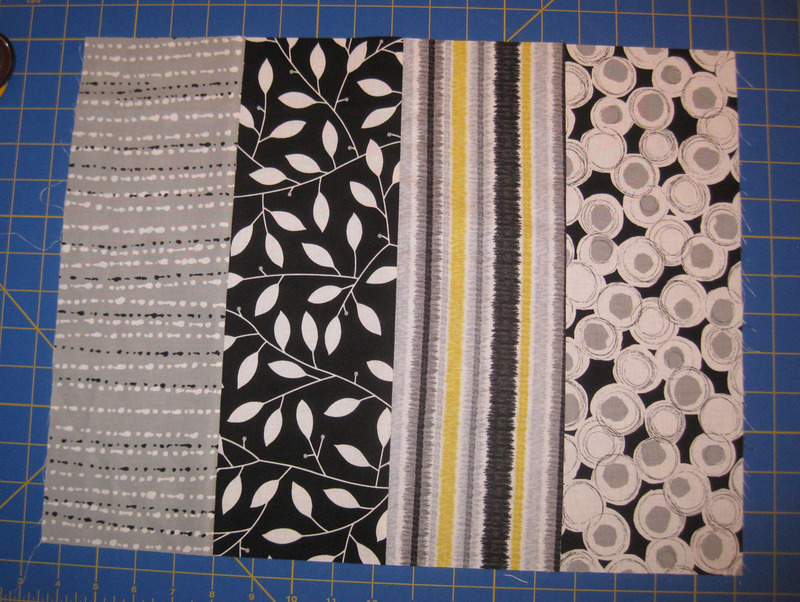 From the remaining three prints (including the second stripe), cut a 4-3/4" x 13-1/2" strip. 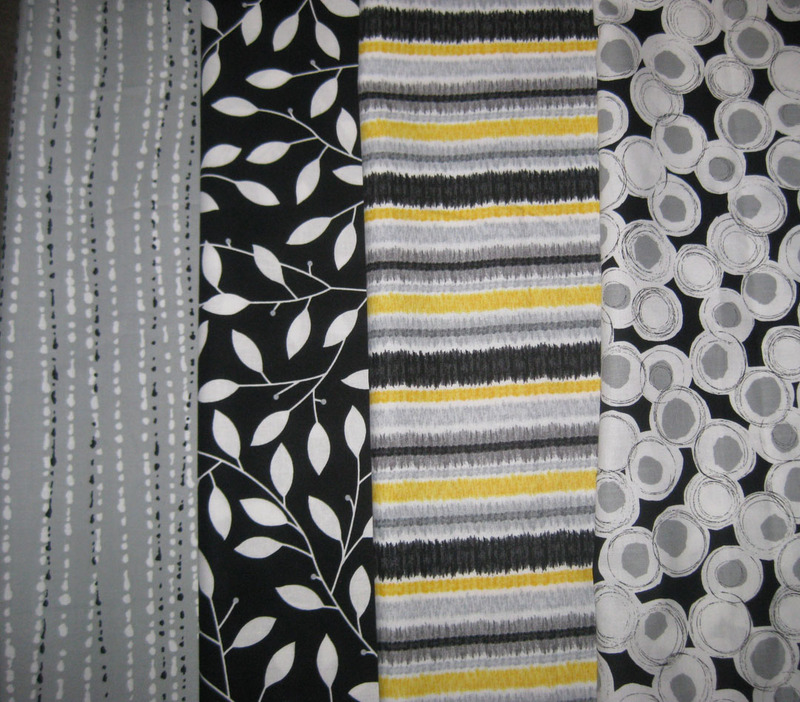 Sew the four strips together lengthwise as shown. Layer the batting, the pieced placemat right side up, and the fussy-cut block right side down and pin around all sides. 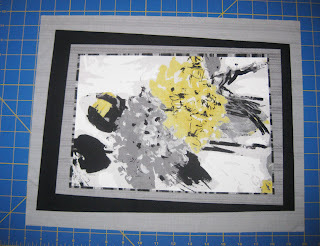 The pieced side will extend slightly beyond the block--that's okay--you'll trim later. 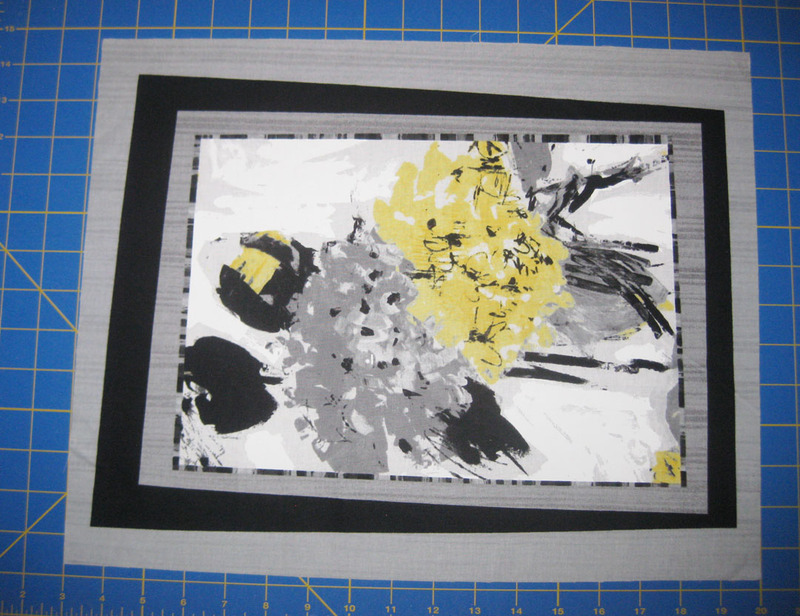 Sew around all four sides using a 1/4" seam allowance. Leave a 6" opening on one side for turning. Trim batting and backing even with the edges of the block. Trim corners on the diagonal to eliminate bulk after turning. Turn the placemat right side out. Poke corners out as needed. Press the raw edges of the opening in to align with the placemat edges. Topstitch 1/4" from each short edge. Topstitch straight lines across the entire placemat approximately every 1/2" or as desired. Make four. There's more--you can use the overall patchwork print to make coordinating napkins. Place two squares right sides together and stitch around all four sides with a 1/4" seam allowance, leaving a 6" opening for turning. Clip corners and turn right side out. Press the raw edges of the opening in and topstitch around the outer edge of the napkin. Make four. You saw the yellow colorway in our tutorial above, but this versatile line also comes in lime and blue! 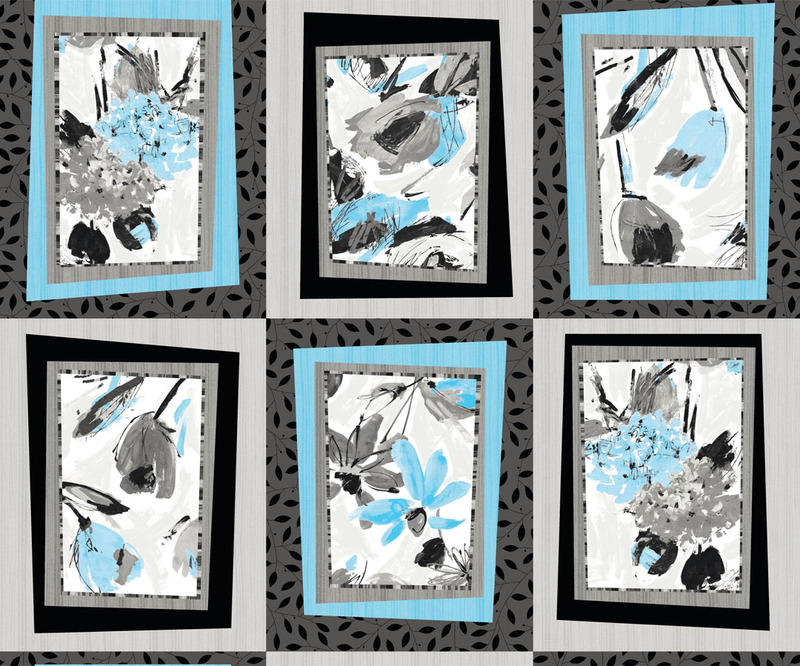 The giveaway: For a chance to win a fat quarter bundle of the Cosmopolitan collection, sign up to follow the Benartex blog using either Bloglovin’ or the email feature (both in the right sidebar). Then leave a comment below this post telling us that you are a follower and letting us know which colorway of Cosmopolitan most appeals to you. This giveaway will be open through Saturday, August 31 at 11:59 pm EST. 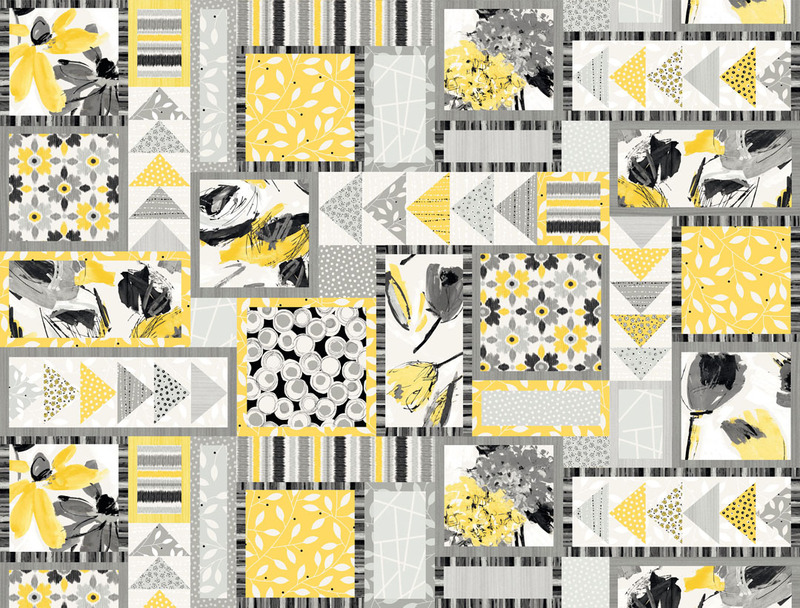 I love the grey and yellow. I follow on bloglovin. I like blue best. I follow on bloglovin. Yellow is my favourite. I follow on bloglovin! I am stepping out of my comfort zone - I like the lime! Oh my goodness, I've got to make some of those fabulous placemats! 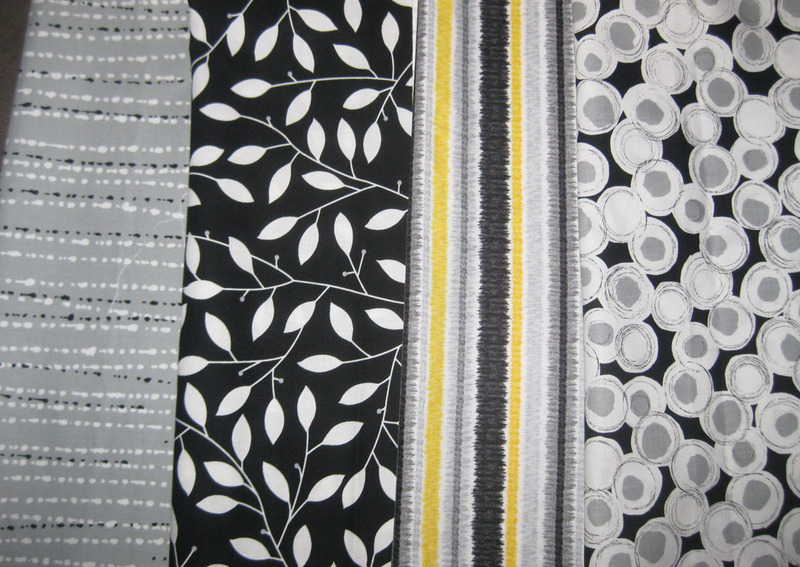 The fabrics are great in all the colorways. If I HAD to pick just one favorite I guess it would be the blue. I follow by email. These would make fabulous Christmas gifts - I love the lime colourway! I'm already a follower, and I like the blue colorway! Oh dear, I love all the colors!! But if I must pick, I shall choose the lime. I follow with Bloglovin and email. Love the blue colorway the most. Love the idea of turning panel sections into placemats, a perfect use for these. I love panels, but then falter when it comes to using them up. Thanks for the idea. I follow through GFC but also signed up through email just in case. 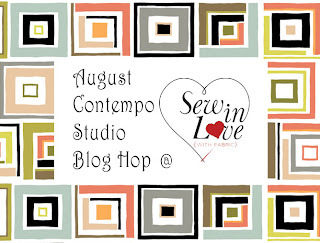 I follow Sew In Love by Blogloving, and by email. LOVE the blue colorway! Cute idea, and great use of the panel. I'm a follower with Bloglovin'. I love the blue colorway the best. Thanks. I am signed up for Benartex newsletter via email. I love Cosmopolitan in the blue - gorgeous!!! 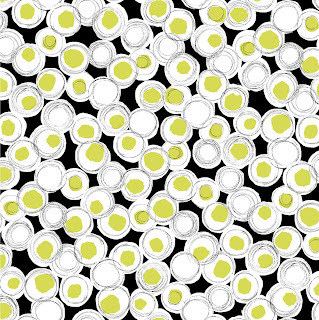 I follow and I love the green colorway, it is different and fun! I get your blog posts in my email. those would make some great gifts. I do like the green colorway. I follow your blog through emails. 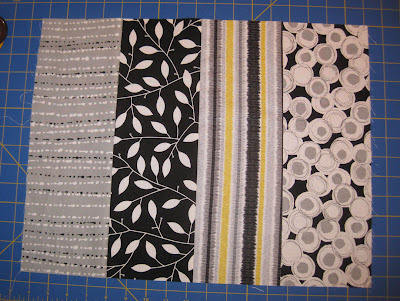 Just totally fell in love with the reversible placements tutorial. 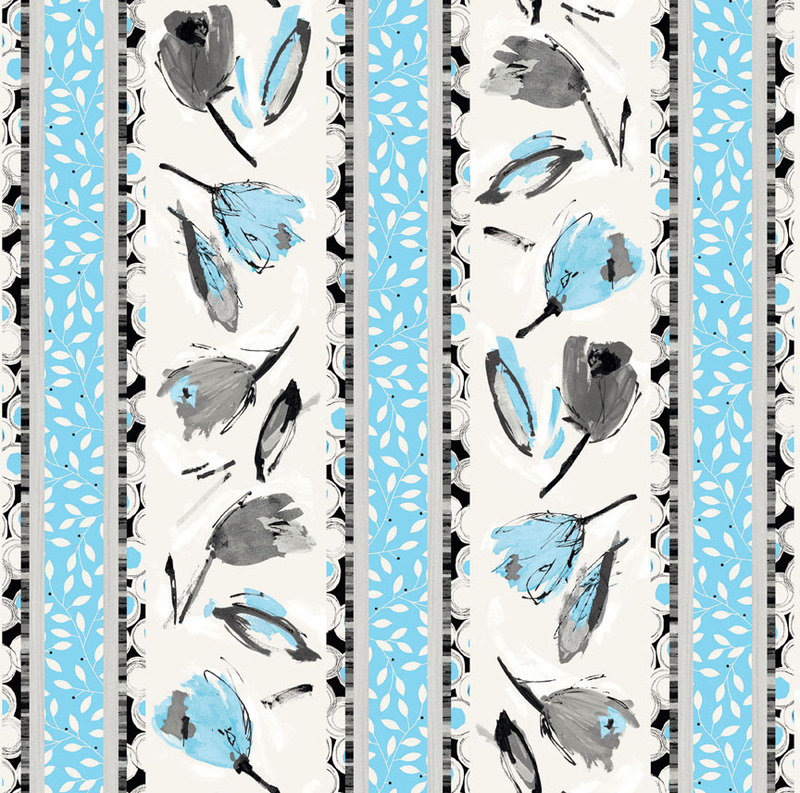 I would just love to make these placements in the blue colorway. 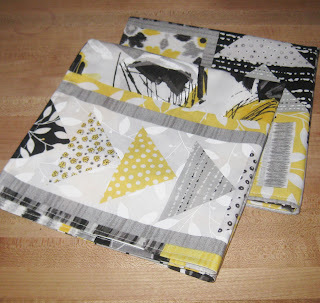 Thank you again for another great blog hop tutorial and the chance to win. 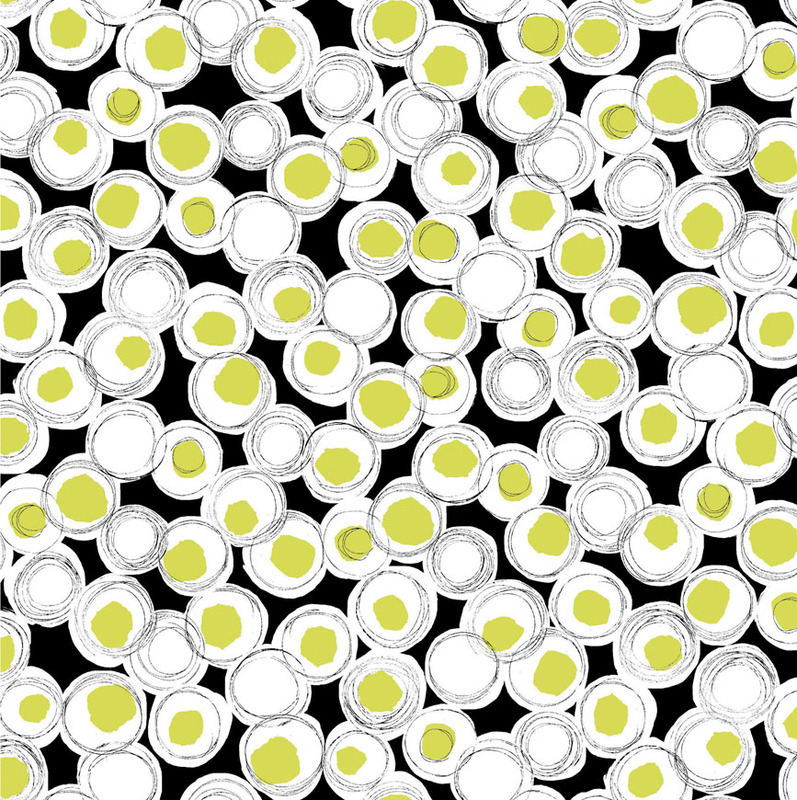 I follow on Bloglovin and I would choose the lime and grey. Thanks for the tutorial and the chance to win! I've been your email friend for a long time. The lime is interesting; I could go for that, thank you. I love all the prints. Blue appeals most to me. Such beautiful designs. I'm a follower via Bloglovin. :) Thanks for sharing. I am a happy follower via email and bloglovin. I like the blue colorway. I am a follower by email. 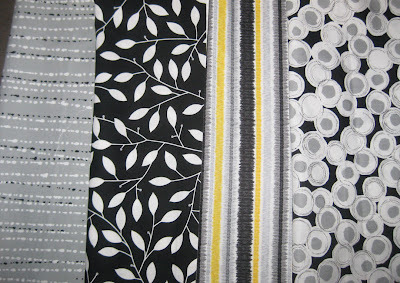 The grey and yellow color way is my choice. I am an email follower - and I like the yellow the most! I am for sure a follower!!! and Love the lime! 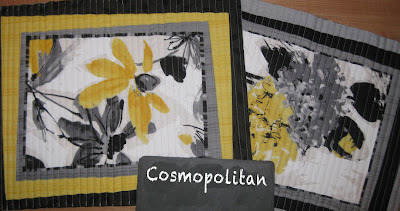 Bloglovin follower here... Love the yellow! I like the blue Cosmopolitan line. I follow by email. Not sure what I would make, but I'm an avid quilter so I'm sure it would be a put to good use. These are so great! I like them all but probably yellow best. I follow via email. Follow by email. I love the yellow...and lime! i follow with bloglovin. these are very pretty, i especially like the lime colorway, very vibrant. 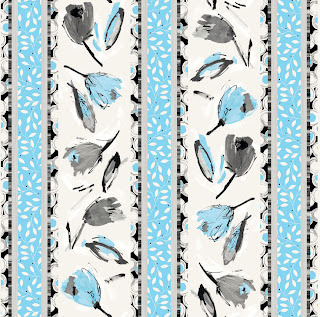 I am a follower and love the blue colorway. 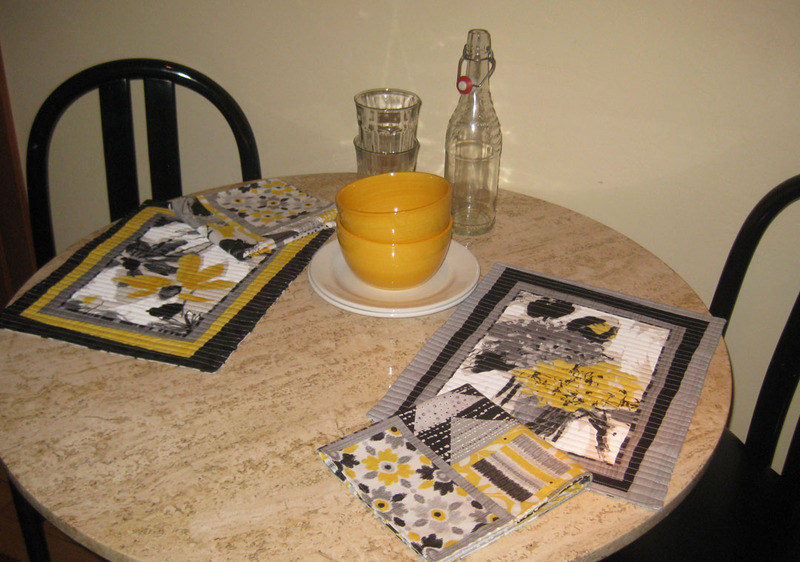 Thank you for the tutorial and the chance to win, The placemats are great. 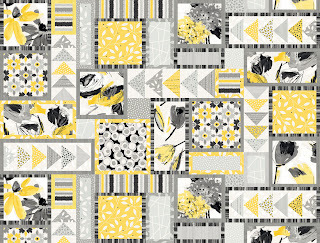 I am a follower via email and I love the yellow gray!!! Thanks for the giveaway. I follow on bloglovin. Huge fan of everything blue, including cosmopolitan. 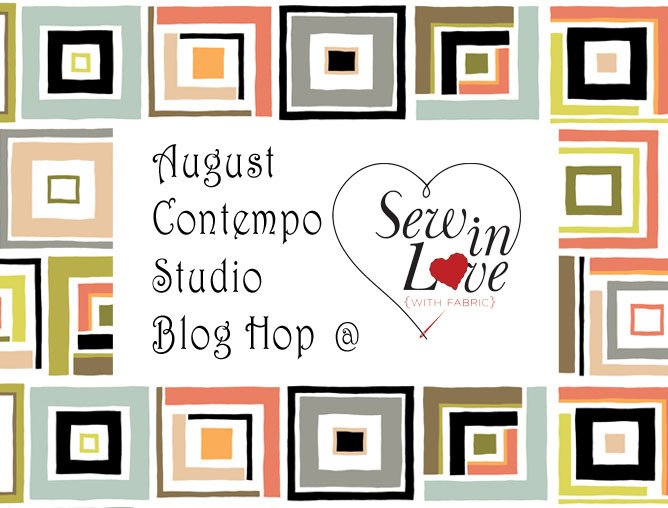 HI,happy to follow you on Blog lovin'! 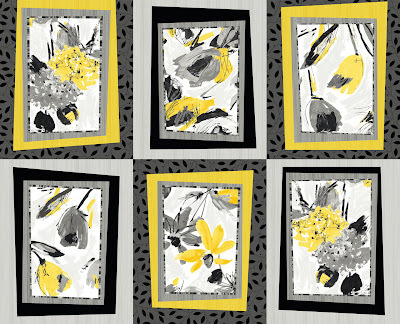 I follow via email and I adore the yellow colorway! 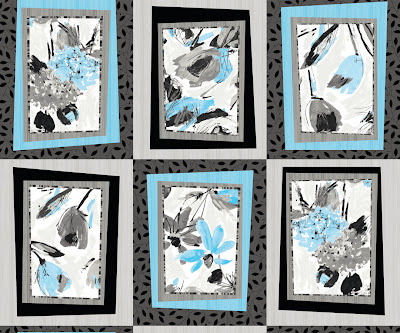 I think it would make a gorgeous quilt! I'm a bloglovin' follower. Lime sounds fun! I follow via email but also with Feedly. Really all three colorways appeal to me but if I was asked to choose, I'd probably go with the lime green. 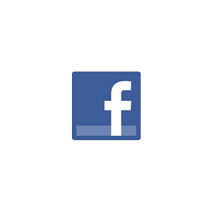 I am a regular Facebook and blog reader and also get the preview packs. I love the aqua colorway but all of them are gorgeous! Good morning...what a great idea to have them reversed...I could make these as Christmas gifts and it does show the beautiful fabric. Actually I love both colorways. I follow by email preoudspirit57(at)gmail(dot)come. Thanks for the wonderful pattern. 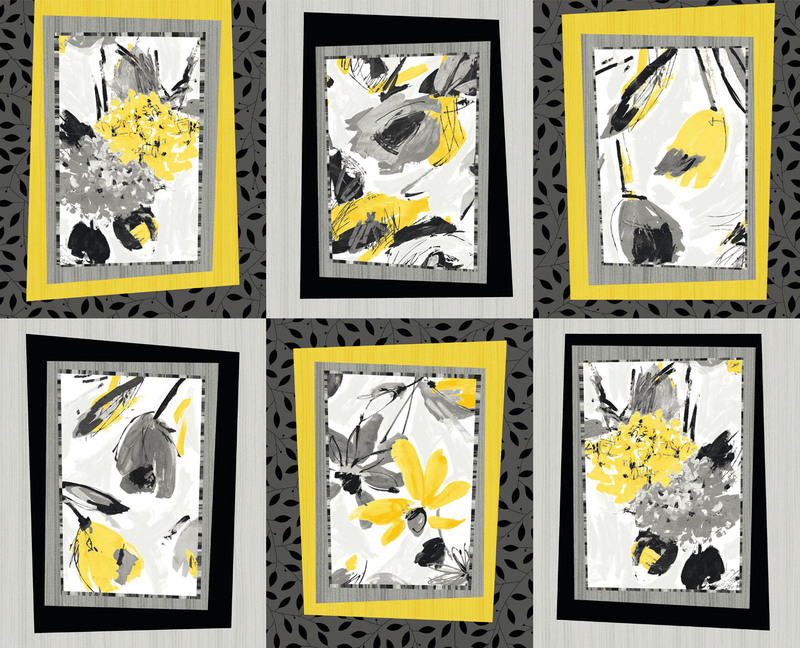 I am a follower via email and I like the yellow colorway the best.